Qualcomm has taken the wraps off its latest silicon beast, the Snapdragon 820. After a year full of turbulences for the company, their new breed of processor comes with an all-new design to deliver the performance jump Android lovers want, along much more. While the Snapdragon 810 was originally promising too, the 820 does have benefits that should ease some of the concerns any enthusiast should have. First of all, the chip comes with a new custom architecture and abandons the “off-the-shelf” cores of the 810, and it also has plenty of power-saving and task off-loading features that Qualcomm promises will extend battery life and performance. Beginning with the processor, we have Qualcomm’s new 64-bit Kryo cores onboard (quad-core configuration once more), a custom-design that is said to be holistically integrated with the rest of the SoC to provide the best in heterogeneous computing. The Kryo cores can reach clockspeeds of 2.2GHz, and according to Qualcomm, the CPU will offer two times the peak performance of that of the Snapdragon 810, with two times the battery efficiency as well. The new CPU is being manufactured on the latest 14nm FinFET processes, and that alone should prove beneficial over bigger process sizes like those found in most 2015 flagship chipsets. If that wasn’t enough for computing, Qualcomm is making sure the Snapdragon 820 can handle tasks efficiently through intelligent task distribution. Their new Symphony System Manager ensures that you can run the right task on the right processor, but while some SoCs limit such system management to just CPU cores, Symphony can manage the entire SoC in various configurations to find the most efficient permutation of load allocation. Qualcomm says specialized cores are chosen to get the job done as quickly as possible, and with their new Hexagon 680 DSP in place, battery savings could be more promising than in previous jumps. Hexagon Digital Signal Processor is there to offload tasks that can be done faster on this particular processing unit, to consume less power than the CPU would. The Hexagon DSP will be assigned sensor processing tasks and act as a “low power island”, similar to what other devices have offered before. Having a sensor-assisted processor and their new image-processing technology could yield efficiency in areas of smartphone usage that can be quite heavy drainers. Speaking of image technology, the Snapdragon 820 boasts the ability to intelligently categorize objects in images, or images in various categories depending on the context. Their Spectra Image Sensor Processor (14-bit dual-ISP) coupled with this “Snapdragon Scene Detect” exploit deep learning technology to get better as it trains with more data, and Qualcomm says their technology can deliver better adaptive brightness and noise reduction. Among other benefits, one may see reductions in HDR and motion artifacts. The Adreno 530 GPU in the Snapdragon 820 is also one of the heavy-hitters of the package, as it promises up to 40% better graphics performance and compute capabilities, as well as reduced power consumption over its Adreno 430 predecessor. Qualcomm demonstrated some of the Snapdragon 820’s graphics capabilities in a photorealistic rendering of a room (using Unreal Engine 4). The jump in GPU performance, albeit great, could be mitigated by higher-resolution displays in 2016, but even then it should bring improvements in VR experiences. If that’s not all, the Snapdragon 820 comes with Quick Charge 3.0, which is not only faster and more efficient (up to 36%) than previous standards, but also reduces power dissipation by up to 45% when compared to the previous generation. With Quick Charge 3.0, Qualcomm says a typical phone can get from zero to 80 percent in about 35 minutes (or 0-100 real quick). 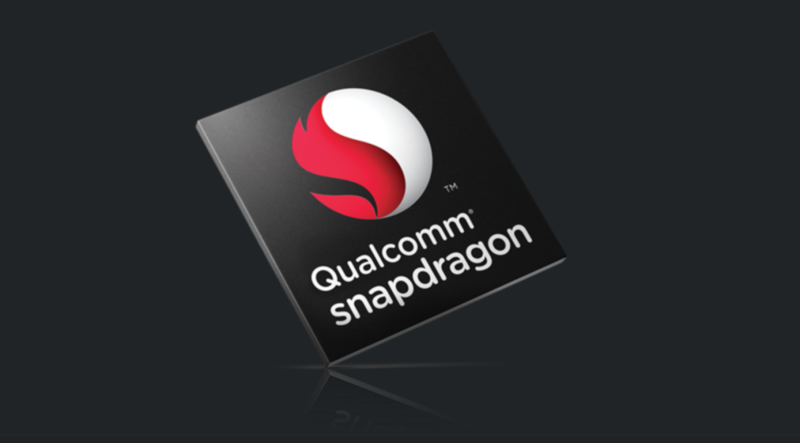 So, all in all, the Snapdragon 820 looks to be a fantastic chip… for now. We do need to keep our expectations in check, as we all know what happened with the 810 which also had plenty of hype behind it. However, this time around, Qualcomm has a financial imperative to deliver its best: with such strong competition, and the company’s 2015 struggles, the chip-maker must do-or-die. It is claimed that the 820 passes the thermal requirements from OEMs, and as they cleverly name their new design “Kryo” (Cryo is defined as involving cold), they not only have promises to live up to, but also a name. We are expecting news on Snapdragon 820 devices soon, and we will report more as we learn new details. You head to the Snapdragon 820 product page if you want to learn more!